Any of you who have been on our Twitter or Facebook pages recently, you may have seen that we have some brand new Alt:Mag mascots. That's right. Before we used Full Metal Panic's Kaname Chidori (that was at the very beginning), while one of our t-shirts available for purchase has Negima! 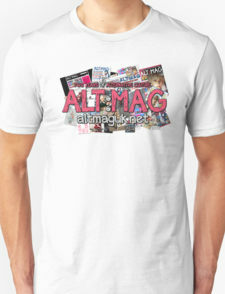 's Asuna Kagurazaka sitting on top of the Alt:Mag logo. 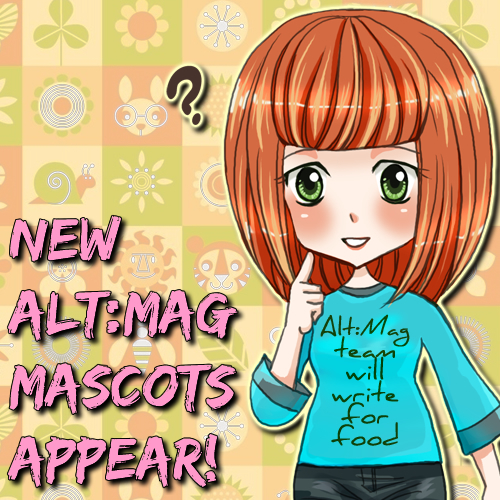 From the beginning of Alt:Mag, I always wanted to have official Alt:Mag manga-style mascots. Now we have them. 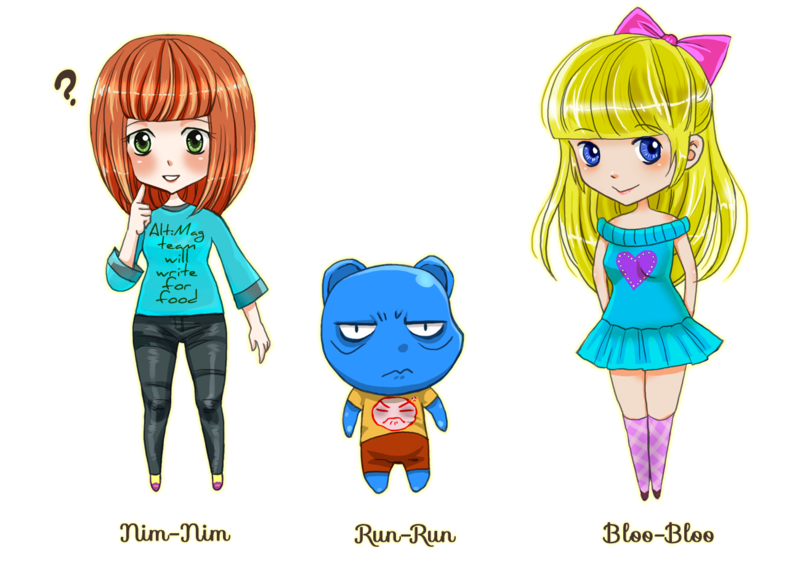 They are called Nim Nim, Rum Rum and Bloo Bloo. I designed the characters and the very talented artist Liona Wu drew them. You can find Liona's website here. And here they are. 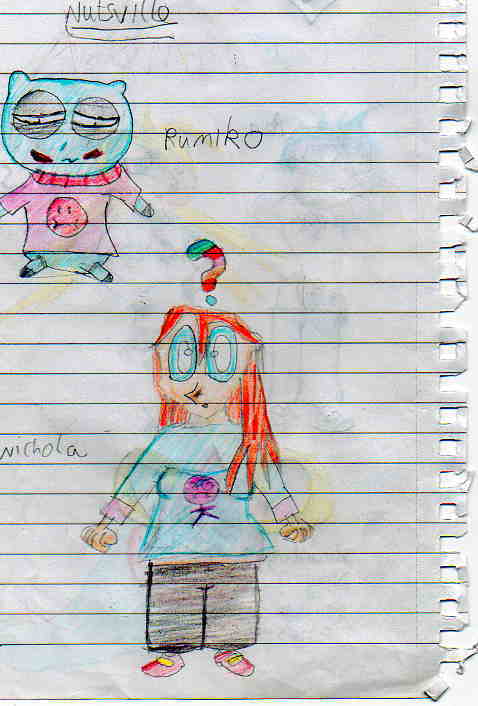 The characters were actually based on characters I drew many years ago, like, when I was a little kid. You can see two of the characters below, I can't currently find the one for Bloo Bloo. Then I redrew them more recently. These are the characters I used on the Alt:Mag twitter for a while. These characters were created to be in a manga strip that would appear on the site or in the actual Alt:Mag magazine. I drew some of it but I am no artist, so I put it to one side. The idea was a manga that would appear cutesy on the exterior, but be rather satirical with its humour, often poking fun at things. Anyway, they are here now, and they look absolutely fantastic. Thanks Liona! We hope to use these on the website soon, if I ever get around to redesigning it. Stay tuned and keep up the support!